Happy Halloween to you! We decided to do another handmade halloween this year since it's really the only opportunity that I get to sew costumes anymore, which are my favorite! Also because last year I was like 11 months pregnant and so didn't really dress up at all, and we're so happy with how everything turned out! When we asked what the girls wanted to be they said "pwincesses", and John said "JAKE! "(since he loves the Jake and the neverland pirates show). 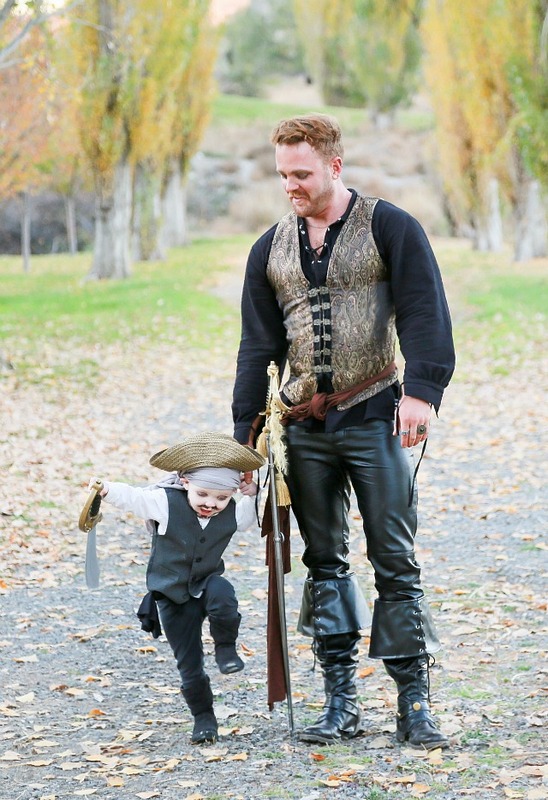 I also knew I wanted to do something fun for myself with my hoop-skirt, and Martin agreed to be a pirate along with John, so to tie it all together into a family costume we went with sort of Jake Sparrow and Elizabeth Swan contemporaries.haha What do you think? Thanks for visiting today, and I hope you have a fantastic holiday if you're celebrating today! Your costumes look amazing!! Definitely a look to be envious about! Have a happy Halloween to you and your family! Wow, these are amazing! You did such a great job! absolutely love it! fantastic look! 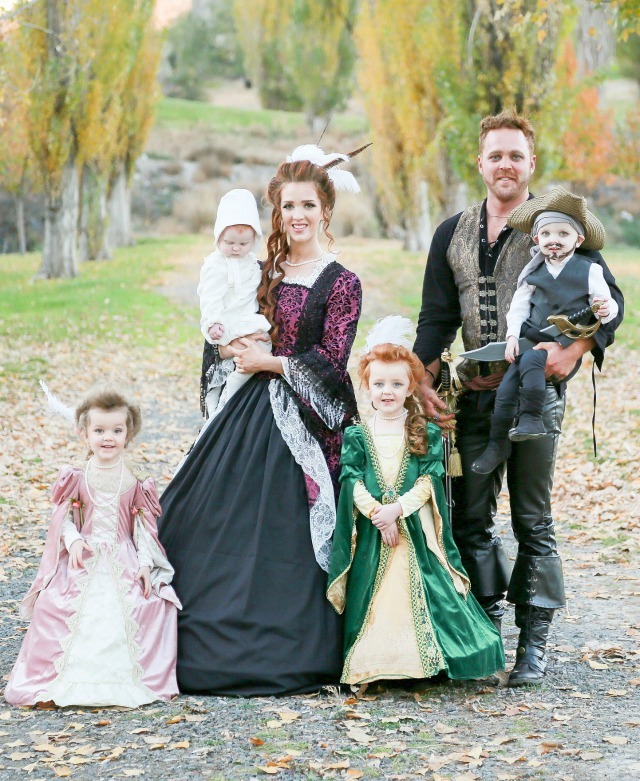 You have such a beautiful family and your costumes are amazing! 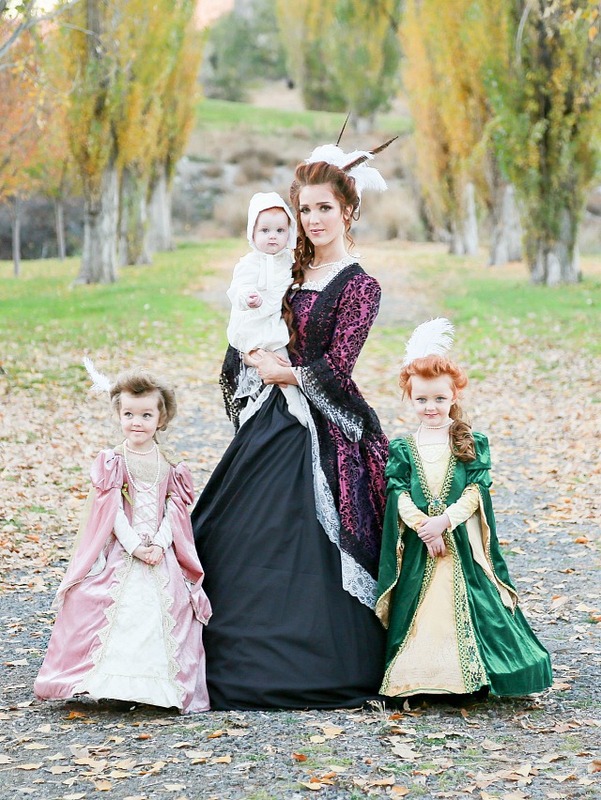 I love the family theme and the Victorian-era feel to them. You did an amazing job sewing those costumes! Gorgeous outfits, so pretty!! Happy Halloween! You, your family are so pretty.. and the little girls are wonderfully! I love you! Happy Halloween! Your family is adorable. Wow! Those costumes are incredible. Well done! You have a beautiful family. Oh my goodness!! These costumes are so amazing! They make my family's costumes look bad haha ;) Anyw y, fabulous job! Such a beautiful family. The costumes look stunning. You did such a good job! Wow I love it! Yall are such a beautiful family- hope you had lots of fun and it was a great memory for everyone! Adorable, all of you! Now I'd like to know how you managed to sew all those costumes with four littles underfoot! What are your secrets? Ahhh you all look so well dressed! Amazing! So fun, and they all turned out really well! :) I think the princesses are my favorites. Glad you got to put your creative skills to use, it's so hard to find time for it as a mom and it always feels so satisfying. omg how cute. i love the costume!!! 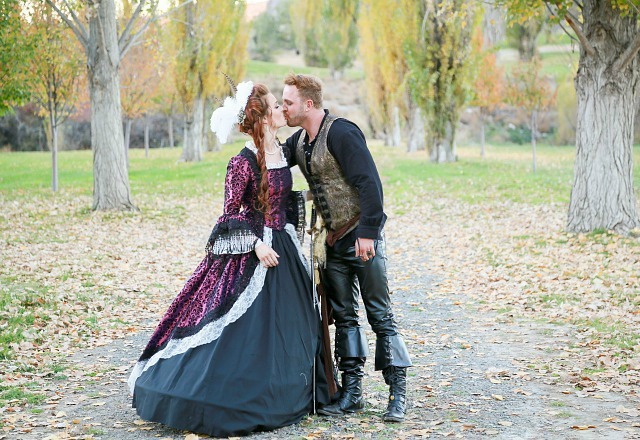 You guys look amazing - I love that you made the costumes! 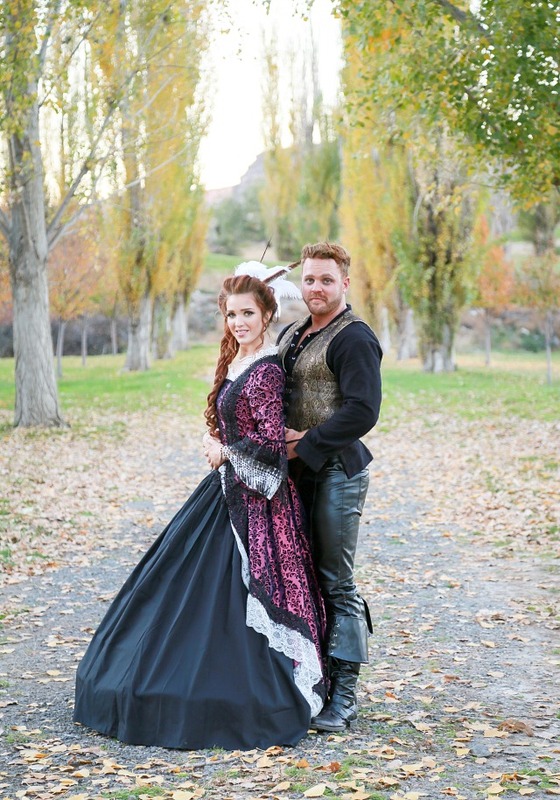 beautiful costumes! i hope someday to have those sewing skills! Oh my gosh!! What a gorgeous family!! I love your costumes!! So cute!